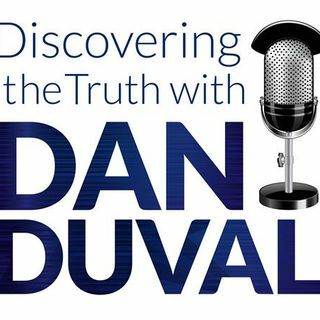 This week on Discovering the Truth with Dan Duval he is joined by KC. She has never been on the program before and she is joining us to talk about what the Lord has done. She is an individual that has reached out to Dan Duval for healing and deliverance and experienced epic manifestations of God's power as a result. She has taken thorough notes in an effort to document the open visions she has repeatedly experienced during the course of the work she has done, which reveal incredible ... See More mysteries and mechanics of the spirit realm. This program is the first installment of the things she has witnessed in her healing journey. Get ready for Story Time with KC and Dan Duval.